Calling all English teachers in Malaysia and Singapore! Helloooooo to all my fellow English teachers in Malaysia and Singapore. 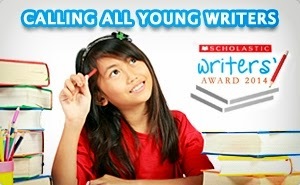 Please encourage your students to join the Scholastic Writers' Award 2014!